With The Hobbit premiering today, there will be plenty of renewed interest in Lord of the Rings-related sites around New Zealand — and with good reason! New Zealand is a stunning country and Peter Jackson did a great job of choosing his filming locations for The Lord of the Rings, so I have no doubt he did the same for The Hobbit (although I won’t know for sure until the movie comes out on Boxing Day in Australia). To celebrate, I’ve put together a guide that takes in some of the best filming locations that New Zealand’s South Island has to offer. Plenty of filming was done on the North Island as well, but I’m a firm believer that short trips in NZ should be confined to one island so you don’t spend all of your time traveling. Remember: The NZ government required all LOTR film sets to be removed once filming had finished, with the exception of one hobbit hole in Matamata. It sounds like they have been a bit more flexible this time around, but until the movie has been released, we won’t know where those locations are. It could be a scene out of The Lord of the Rings -- but it's actually Christchurch Botanic Gardens. While Christchurch has had a very difficult time as of late, it’s still a great city to start off your South Island adventure in. Not only is it the most convenient international airport — serviced regularly by flights from Australia, the Pacific Islands, and Singapore — but it’s also a vibrant city that has been voted one of Lonely Planet’s top ten cities to visit for 2013. 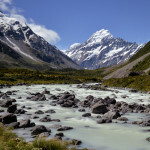 From Christchurch, you can take an Edoras Tour to the highcountry around Ashburton that served as the backdrop for King Theoden’s Rohan and its capital, Edoras. This tour takes you down 4WD tracks to the remote Mount Sunday, where you can stand in the wind looking out at the lands of the Rohirrim just like Eowyn did. I’ve always wanted to do this tour, not just because Eowyn is one of my favourite characters in the book, but also because it is such a starkly beautiful place. The golden tussock of Mackenzie Country, seen from between Twizel and Tekapo. 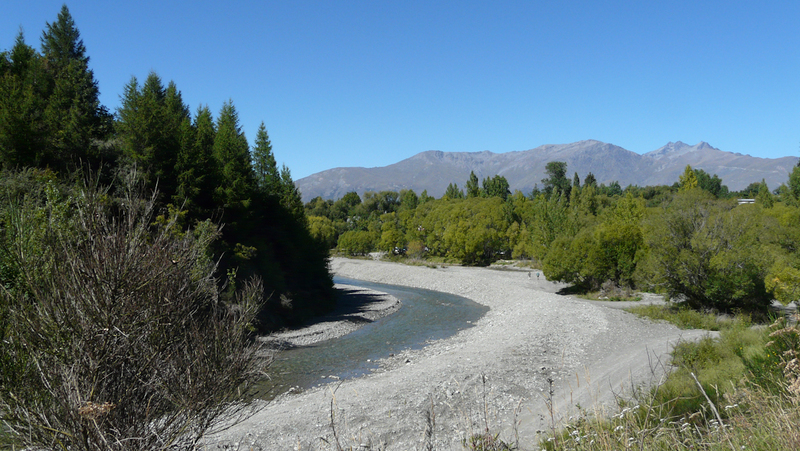 A bit more than halfway between Christchurch and Queenstown is the small town of Twizel. 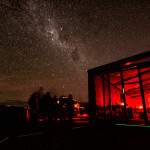 It lies in the stunning Mackenzie country, which is also home to the brilliantly coloured Lake Tekapo and Lake Pukaki as well as Mount Cook National Park (the turnoff to Mount Cook Village is only a few kilometers outside of town). The golden tussock and the backdrop of snow-capped mountains made this part of Mackenzie Country the perfect choice for the most epic scene in the trilogy: the Battle of Pelennor Fields. Apparently 1500 people converged on Ben Ohau Station to ensure that the filming of this scene went perfectly! While this land is privately owned, you can go there with Discovery Tours and imagine being in the thick of it when Theoden gave his stirring speech or Eowyn heroically killed the Witch King of Angmar. Just outside of Arrowtown near the setting for the Ford of Bruinen. Remember when Arwen was being chased by the ringwraiths and and challenged them at the Ford of Bruinen that if they want Frodo, that they should “come and claim him!”? Well, that river loops around the small gold mining town of Arrowtown, located just to the north of Queenstown. This cute town is well worth the visit just for the time warp of walking down the main street (and for the delicious crêpes at Bonjour Arrowtown). The ford’s filming location is located only a short walk out of town. I saw it as part of a 4WD tour offered by Poplar Lodge (where I even got to try my hand at gold panning)! 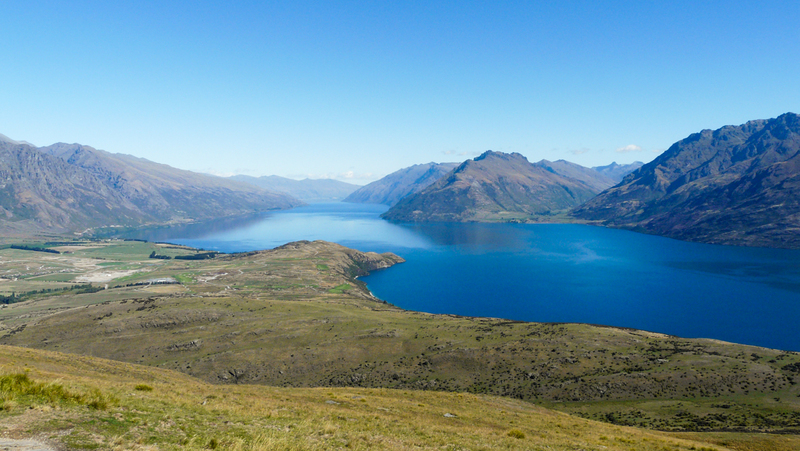 The arm of Lake Wakatipu that Aragorn looked out onto to see Sauron's minions sailing towards Pelennor Fields. 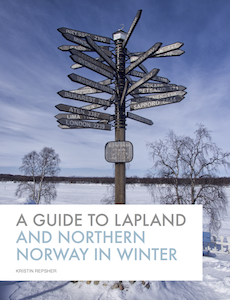 “The adventure capital of the world” — who could miss it? Not the stars of The Lord of the Rings, that’s for sure. In the extended features for the trilogy, Orlando Bloom and the hobbits described how they were told, once they arrived in Queenstown, that they needed to stay away from anything they could hurt themselves doing…so of course, they all went bungy jumping! It’d be impossible to list here all of the adventure activities you could do in Queenstown — you’re really limited by your budget there, not your imagination! 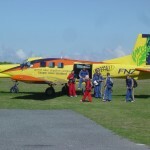 Why not try a 134m bungy, a canyon swing, or the ‘world’s most exciting jet boat ride’ through Shotover Canyon? There are a few nearby filming sites, including the Remarkables, which served as the backdrop for Dimrill Dale as the fellowship rested after the terrible events in the Mines of Moria, and Kawarau Gorge, which was turned into the Gates of Argonath (where two giant statues of kings of Gondor stand guarding the river). Tours like the Grand Circle will take you to see the former and Safari of the Scenes the latter. 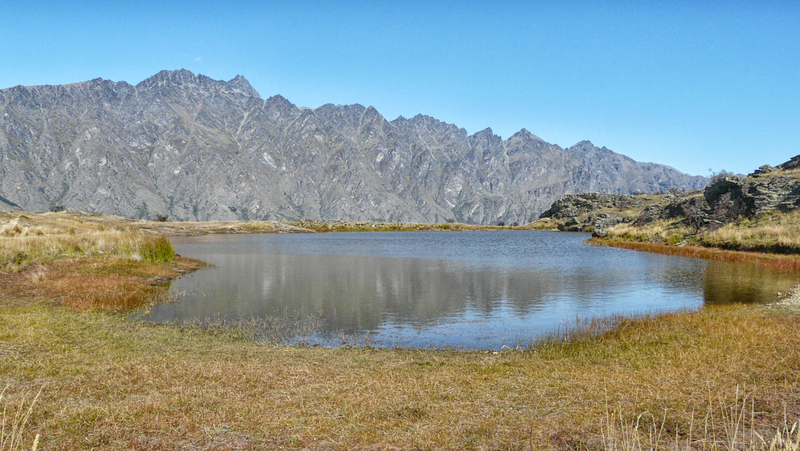 The mountain tarn that the evacuees from Edoras walk around on their way to Helm's Deep. 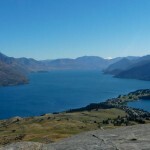 My favourite LOTR site is located in Deer Park Heights, the hill between Queenstown and the Remarkables. This is where the evacuees from Edoras walked to get to Helm’s Deep, where the Rohirrim fought the wargs, and where Aragorn fell off the cliff; looking out across the lake, you can picture Aragorn, having just emerged from the Paths of the Dead, looking out at Sauron’s minions pillaging and burning their way towards the battle at Pelennor Fields. Unfortunately, Deer Park Heights closed in 2009 and shows no signs of reopening. Near the setting for Isengard on my horseback ride with Dart Stables. Of all the places I visited in New Zealand, Glenorchy seemed to have the most filming locations clustered in such a small area. 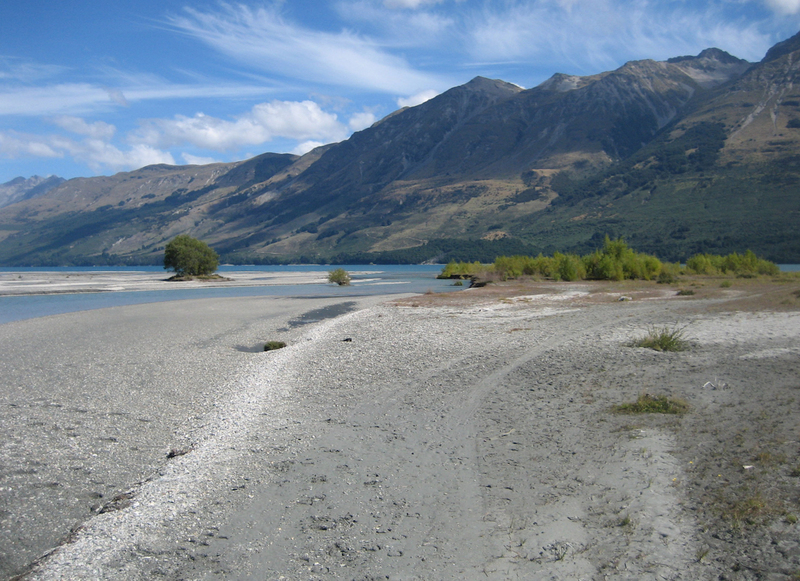 Along the road along Lake Wakatipu from Queenstown to Glenorchy, there is a campsite called Twelve Mile Delta. Here, you can find Ithilien Camp, where Sam and Frodo peeked through the bushes and saw the oliphaunts for the first time. This was actually one of the first LOTR sites I saw in NZ, and it was amazing how easily I could picture the oliphaunts and their evil riders stomping through the foliage below. It proved to me how unedited the landscapes in the movie really were. On this road, we also got a clear view of Mt. Earnslaw, which along with Mt. Pluto featured in the sweeping opening sequence of The Two Towers. Unfortunately we didn’t get quite the view that we see in the film; a scenic flight from Wanaka to Milford would have been much closer! 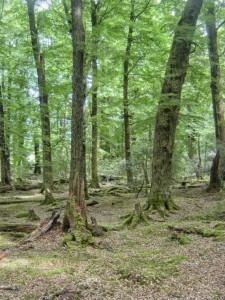 Standing under the incredibly green beech trees in Paradise and imagining Lothlorien. At the end of the lake, the confluence of the Dart and Rees rivers served as the backdrop for Saruman’s Isengard, and when I stood there, watching the dust clouds from our Paradise Safaris 4WD clear, I could picture the black tower rising tall in front of the mountains. I also saw part of this area when I went horseriding with Dart Stables, who also offer a LOTR-specific trip. 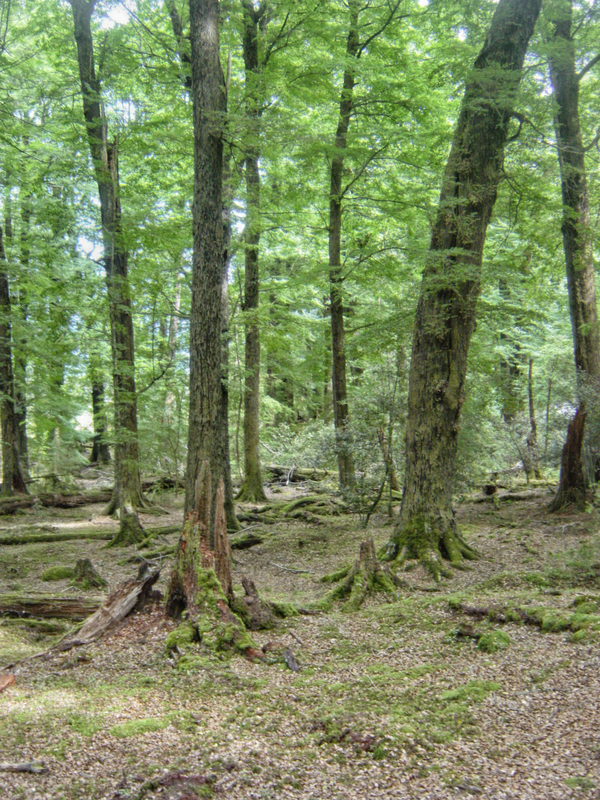 Closeby is an area aptly called “Paradise,” which was used as the filming location for Lothlorien and the surrounding woods. While my tour didn’t take us to any specific filming locations, it was easy to see why they’d chosen this as the elven oasis when we were standing below the towering beech trees. 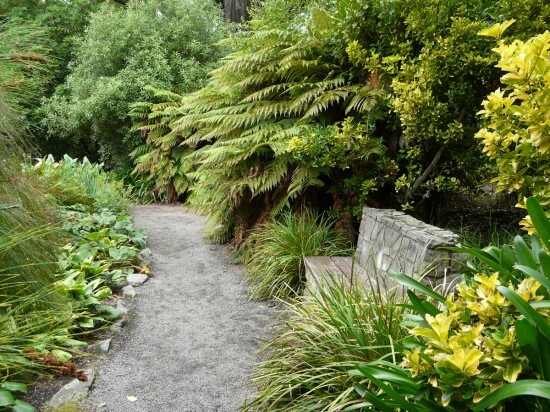 This is only a small taste of the many sites that Peter Jackson included in his epic trilogy, and it’s certain that a few of them (like Paradise) will be used in The Hobbit as well. Seeing all of these places — and all of the stunning spots in between — will show you that New Zealand truly is Middle Earth. Which of these locations would you like to visit the most? Or are you fed up of LOTR fever and can’t wait until the frenzy over The Hobbit dies down? It’s funny, I was in many of these places and didn’t really associate them with the Lord of the Rings, even when I knew they were filmed there. The one exception to that was Mount Doom, which I drove right by on my way from Wellington to Taupo.